How to access articles, books, and library help anywhere, anytime. Locate Journal, Magazine and Newspaper Articles Using the Electronic Resources pages. Browse by type and subject, or look at our complete List from A to Z. Find reliable sources like books, articles, and more for your class or topic using our Research Guides. Get help from the library anytime, anywhere through our Ask a Librarian 24/7 service. Quick and painless MLA, APA, and Chicago citations. One of the the most comprehensive resources available. Navigate to what you are looking for using the "search the OWL" Search box in the upper left hand column. Current Norco College students, faculty, and staff have access to the Electronic Databases off-campus - 24 hours a day, 7 days a week. Read the log-in screen for details on your User ID and Password. You need to enter this information once per session. User ID: 7-digit student number or faculty/staff number with no initials. Students - You are assigned a student ID number by the Registrar. Faculty / Staff - You can obtain ID numbers from your IDS or Human Resources Department. NOTE: If you are an employee or student that initially enrolled at Moreno Valley College or Riverside City College, please go to the Electronic Resources web site for that college you should have access to your respective home campus databases. We will be able to respond during operating hours. You can look for eBooks only in the databases below, or you can also search for e-books using the library catalog by simply limiting your search to the "e-book collection." tab. Many titles can be downloaded to a reader, and most are easily searchable. If you need any help, ask us! Search BOTH eBook collection and Academic eBook Collections at the same time. Includes encyclopedias and other reference sources on a wide variety of subjects. This is a great place to go to get basic information on a topic, or to explore different aspects of a topic. New titles just added, adding thousands of entries! 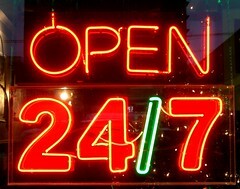 Chat with a Librarian online 24 hours a day, 7 days a week. Find out what class materials are available in our library by looking at our catalog! Go to our Library Catalog and select the Course Material Tab. Enter your three letter course name and number (like MAT 1 or HIS 10) and click 'submit'. We'll list the textbooks we have available at the Circulation(Front) desk. These books are available for a two hour period, and must stay within the library. Pro Tip: It helps to know the course name and number, so that our student workers can find the book you want.